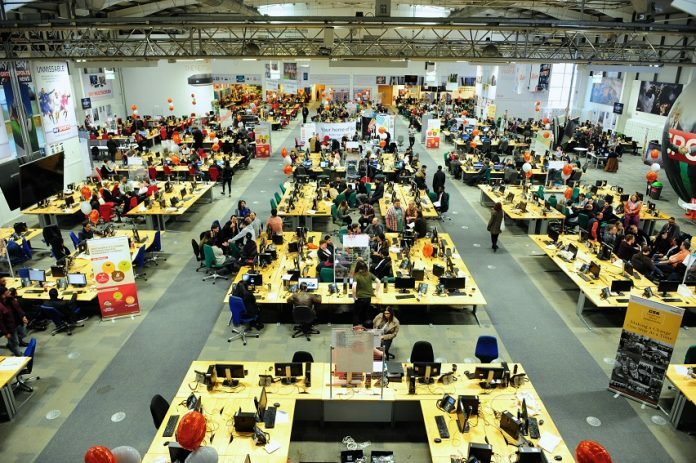 Firstsource Solutions, the customer experience expert, has welcomed over 1,200 new employees to its Derby site. The new roles come as a result of Firstsource expanding its partnership with telecommunications and media giant Sky. Firstsource has supported Sky with customer experience management since 2001. In February, it was announced that Sky was consolidating its outsourced areas for TV and Broadband services and would be working with Firstsource until 2026. As a result of the deal, 1,200 new staff joined Firstsource’s Derby operations this week at Riverside Road, Pride Park, via a Transfer of Undertakings (Protection of Employment) “TUPE” process. These employees will be responsible for delivering Sky TV and Broadband’s multi-channel customer contact programme for Firstsource. Rajesh Subramaniam, managing director and CEO at Firstsource Solutions, said: “We are delighted to welcome new members of staff into the Firstsource family here in Derby. By continuing to invest in local talent, we are confident that we will be able to deliver excellent experiences for Sky’s customers over the coming years”. Tom Scott, managing director – customer service group, at Sky said: “At Sky we’re dedicated to providing our customers with the very best customer service through each and every interaction. With more integrated products and streaming services on offer than ever before, the quality of the customer service we provide is paramount. Partnering with our long time colleagues at Firstsource allows us to deliver a brilliant and fully integrated customer experience across the whole Sky service organisation; our customers are in safe hands”.